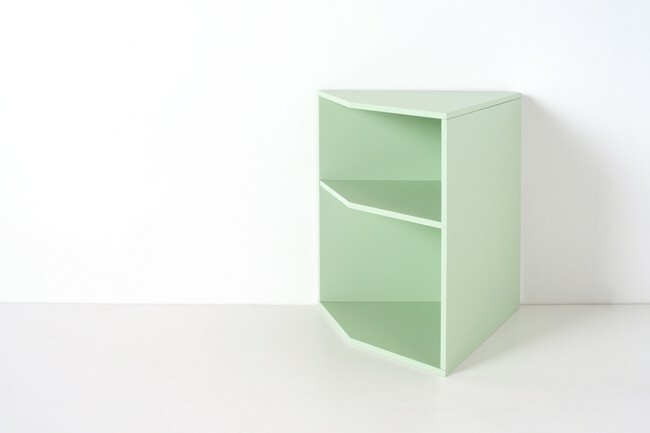 Esatto is a modular storage furniture system with 3 modules, 90°, 60° and 30° with different heights, depths and colors, that can be arranged in many different combinations, fixed or just leaned to the wall. 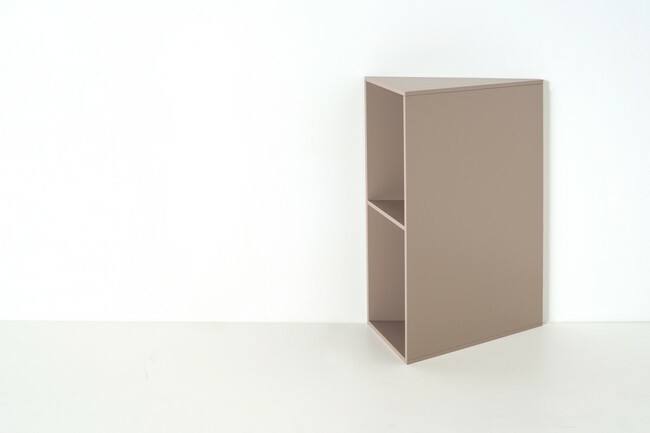 Esatto is perfect for the entry hall, corners, living room, kitchen, corridor, studio, bedroom or bathroom and can be used as storage furniture, bookcase, sideboard. Fresh, handy, versatile is an “Exact” system for the corner solution! Important Notice: Esatto has been produced and marketed by Formabilio from 2014 to 2015. From January 2017 Esatto is available for new editions.